I had about a half an hour to walk at Cutler Park today, but it was an awesome half hour! First, I saw a really big spider guarding her babies. After searching through Jef Taylor’s Urban Pantheist blog, and checking out the bugguide.net spider eye arrangement chart, I can confidently say that it might be a nursery web spider (Pisaurina mira) or a fishing spider (Dolomedes sp.). 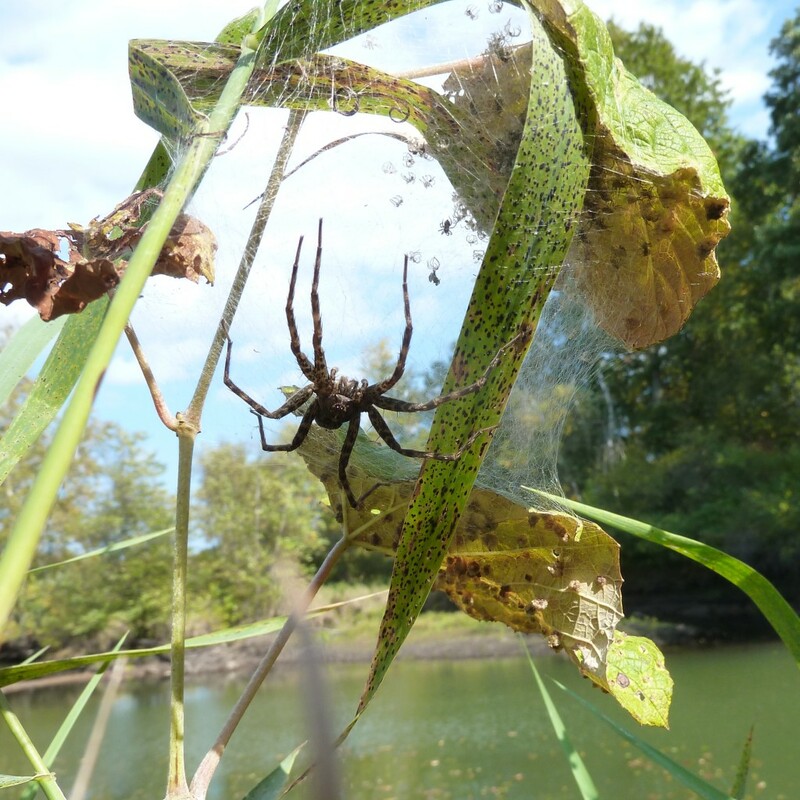 Here’s a picture of big mama spider watching her babies. Big mama’s body is about the size of a quarter and her legs are about 2 inches long. I saw something red and stopped to look, thinking that it may be a flower or a berry, but it was just a leaf. 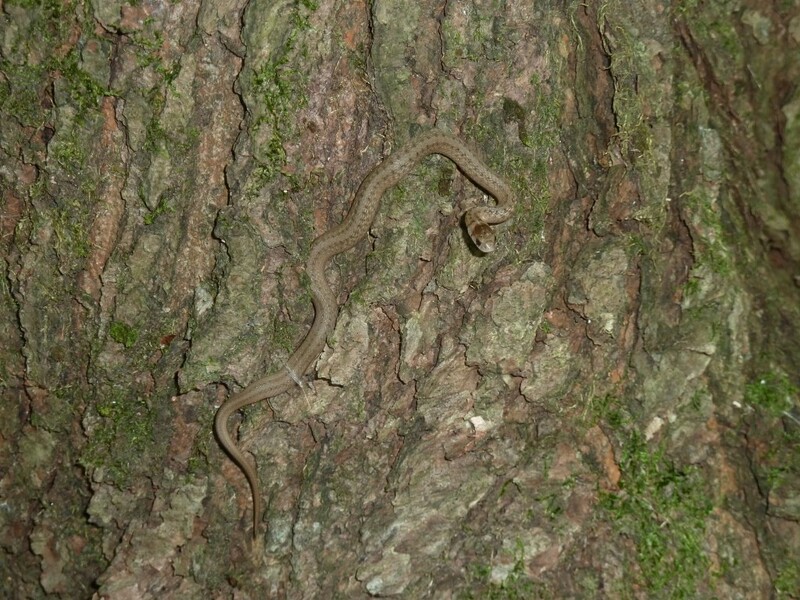 As I stood up, I noticed movement and saw this cute Dekay’s snake (Storeria dekayi), about the size of a pencil, very well camouflaged in tree bark – a first for me! 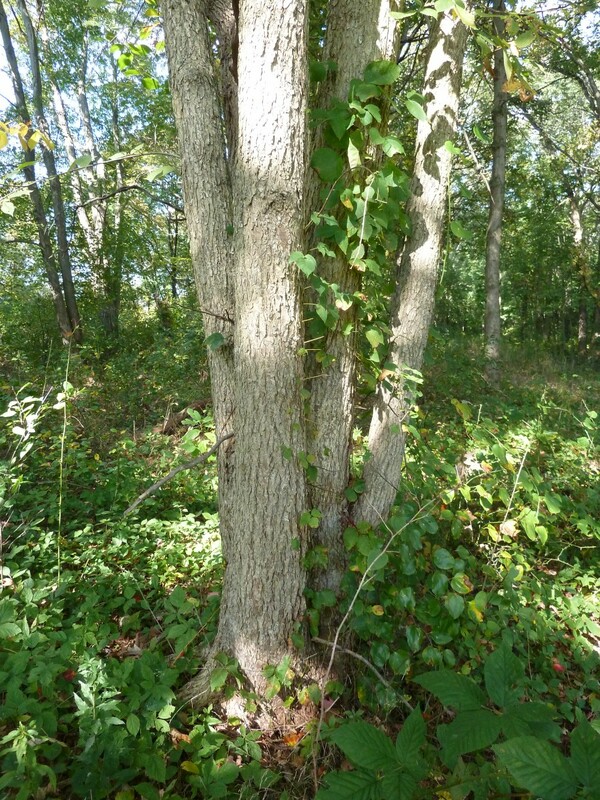 Can you spot the snake? Here’s a close up so you can see how cute it is! 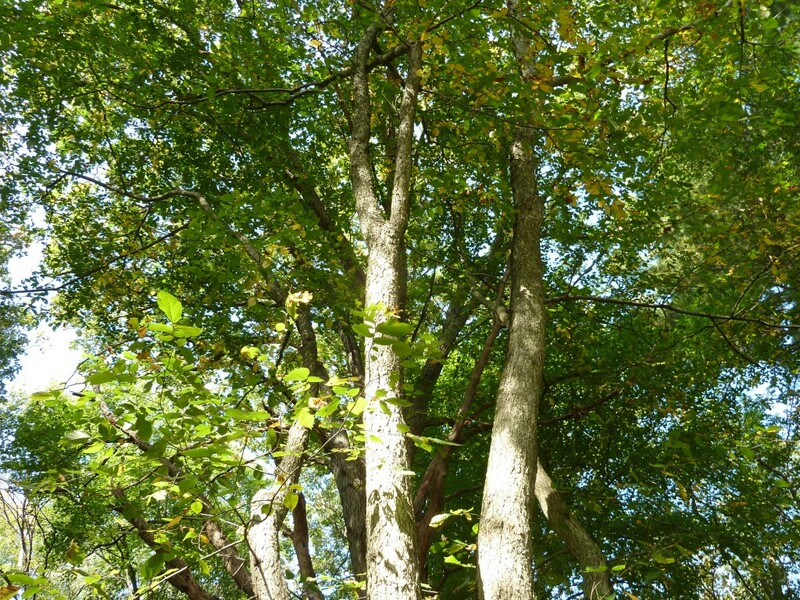 On my way back to the car, I noticed a nice sized hop hornbeam tree (Ostrya virginiana) which I was able to identify easily after spending the morning at Garden in the Woods learning about the Betulaceae family. 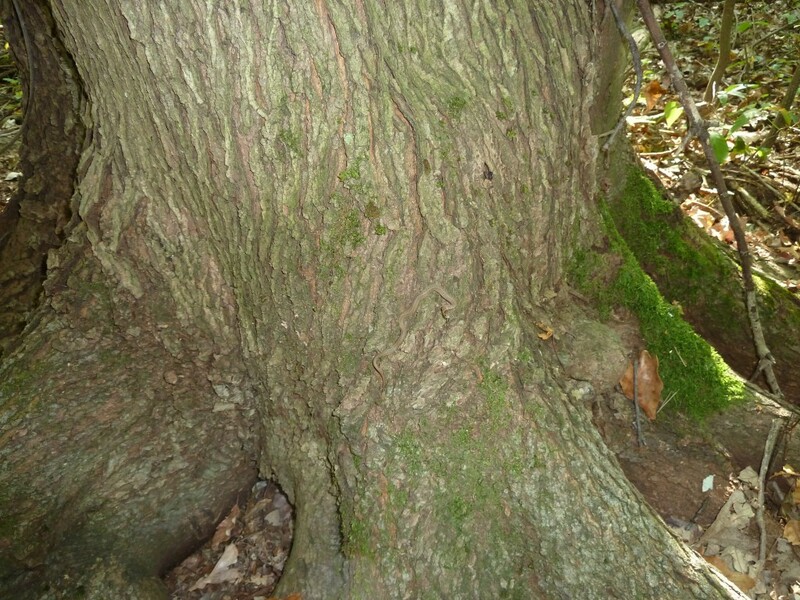 Here are a couple photos – one of the large and divided trunk and one of the canopy.